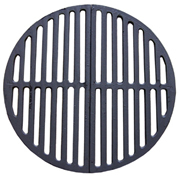 Chiminea grates and replacement parts. 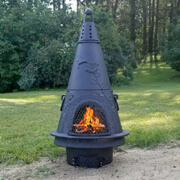 Occasionally things need to be replaced and The Blue Rooster Company stocks a complete line of replacement parts for our outdoor fireplaces. If you do not see an item listed please drop us an email with your specific model number and parts request. All parts include a 2 year manufacture warranty for manufacturing defects. Shipping is included in the price for the lower 48 states. Canada, Alaska and Hawaii additional charges apply.